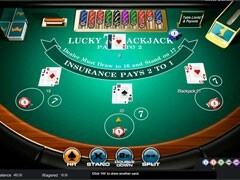 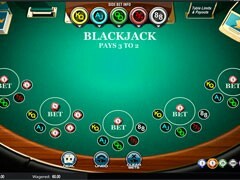 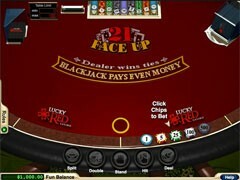 Face Up 21 Blackjack is one of blackjack variations commonly offered by Realtime gaming casinos. 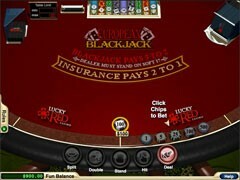 8 standard card decks of 52 cards are used in this game. 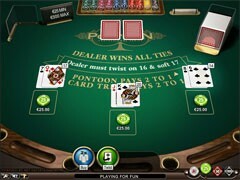 The dealer starts each round by giving two cards to the player and two cards for himself. 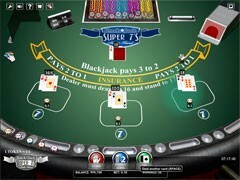 The four cards are dealt face up. 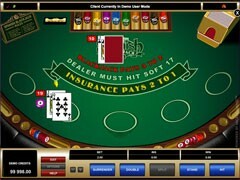 In this game the dealer must hit of a soft 17. 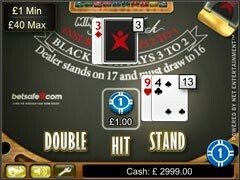 At the same time the dealer stands on any hard 17. 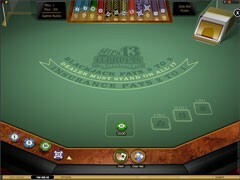 And this aspect is extremely important for those players who care about strategy. 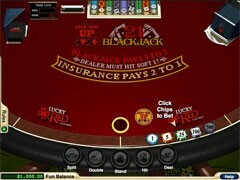 You need to know when the dealer is going to hit or stand to build your own strategy. 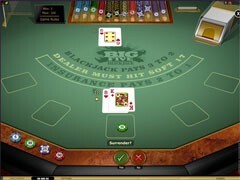 By the way if the dealer stands on his first two initial cards and your hand’s value is smaller you will be automatically hitting cards until you bust or win. 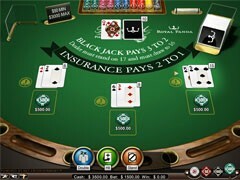 Thus don’t be surprised that you are given new cards without asking. 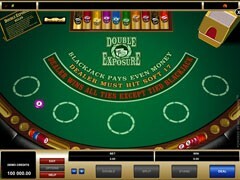 Another important thing which you should know is the rules of ties. 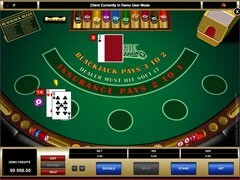 In case of tie with any other hand except of blackjack the dealer always wins. 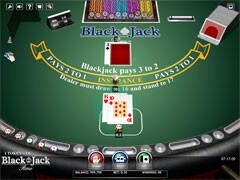 However tie with blackjack means winning for the player. 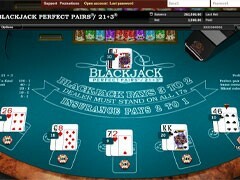 Split is allowed in Face up 21 Blackjack. 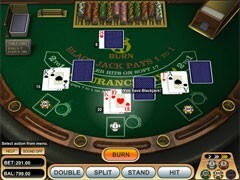 Split can be done if the player has got any pair. 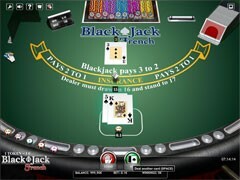 If the player splits his Aces and then receives any 10 points value card he doesn’t have blackjack. 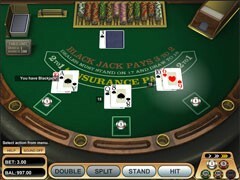 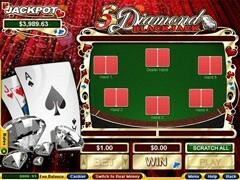 Thus it means that the player cannot have a blackjack after splitting. 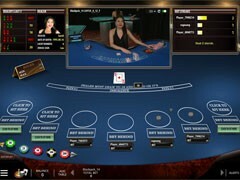 The player is allowed to resplit just one time. 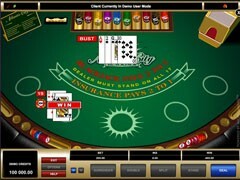 * In case of splitting aces the player is allowed to take only one more card for each hand. This means that the player need to complete his both hands only with two cards. 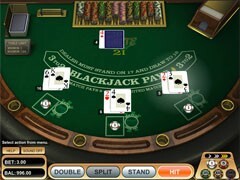 The player is allowed to Double Down only in case of having first two hands with the value of 9, 10 or 11. 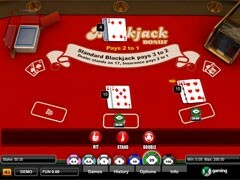 After Double Down the player can receive just one additional card to the hand. 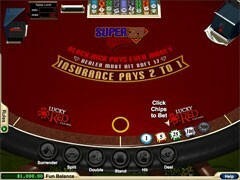 The player is allowed to Double Down only once. 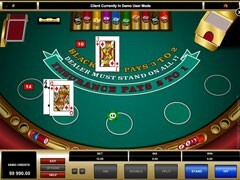 The player is not allowed to Double Down if he has got a Blackjack. 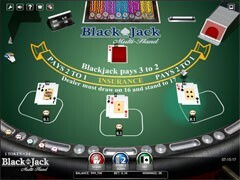 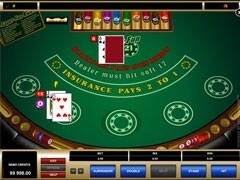 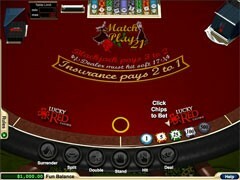 There is no insurance rule in Face Up 21 Blackjack due to the fact that both dealer’s card are face up. 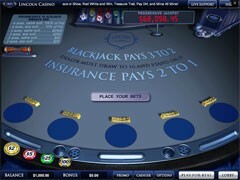 Basically this is the most important difference between this game and Classic Blackjack. 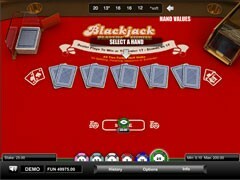 The payout odds in Face Up 21 Blackjack are usually around 98%. 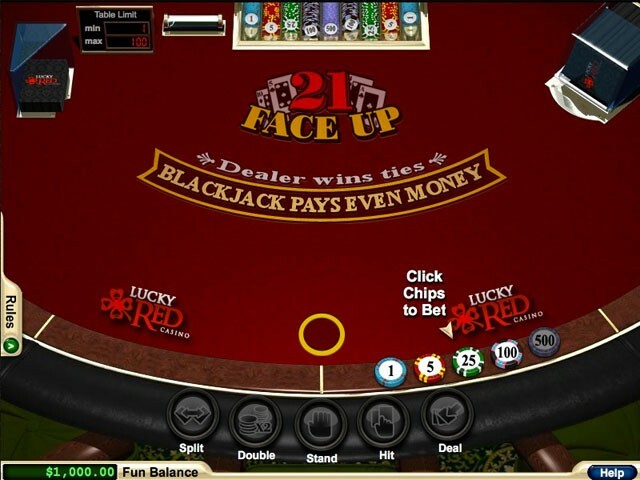 In Face Up 21 Blackjack all wins are even money.